Foundation Masters, LLC is a licensed Civil Engineering Company, specializing in Structural Design and installation for new construction, Home Builder in the Bahamas. We are a Design and Build Home Builder in the Bahamas that specializes in, Hurricane resistant Structures – Sinkhole Resistant Structures – Termite Resistant Structures – Fire Resistant Structures and Mold Resistant Structures. Foundation Masters, LLC will give you a on site consultation and free set of preliminary plans with estimated construction cost. If you already have a set of plans for your new home, send them over for a free plan review and let us tell you how we can make your dream home a safer structure. Call us 813-614-1718 for a free consultation. Foundation Masters, LLC is the best Home Builders in Providence Nassau Bahamas. Hurricane Resistant Structures – Foundation Masters, LLC can Design and Build a home that can withstand a direct hit from hurricane winds or high winds of any kind in the Bahamas. Our Civil Engineers can take your dream home and turn it into a Hurricane Resistant Structure without sacrificing the architectural design. Foundation Masters, LLC will provide you with a free on site consultation and provide you with the best structural design for you site conditions. Foundation Masters, LLC is the best Home Builder in the Bahamas, Thanks to the best Engineers and contractor that we work with. Sinkhole Resistant Structures – Foundation Masters, LLC the best Home Builder in the Bahamas, that works with Sinkholes, LLC and Sinkholes, LLC has designed the first Sinkhole Resistant Home, with a 25 year warranty. This Sinkhole Resistant Structure can resist a direct hit from an average sized Sinkhole. In most cases these sinkholes can easily be repaired with almost no damage to the structure. Sinkholes, LLC has field tested this sinkhole resistant design and the results were amazing. Civil Engineer Ken Sands, PE. and Jeff Earl from Foundation Masters, LLC “Structural Repair Expert” can design you a safe home anywhere in the Bahamas. 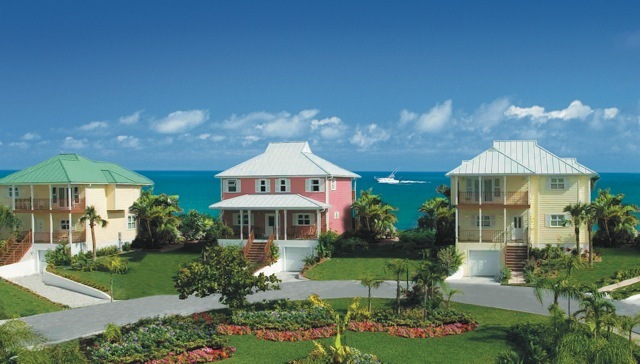 These Sinkhole Resistant homes are the most energy efficient, high wind and Sinkhole Resistant Structures in the, Bahamas and the United States. Termite Resistant Structures – Foundation Masters, LLC designs the best Termite Resistant Homes in the Bahamas. The best way to protect your home from termites is to use the right building materials. In areas where termites are active, total building protection against termite infestation is the only way to minimize the risk to the structure, and the non-structural building elements and its contents. Protection against infestation can be achieved by appropriate design, care during site preparation, adoption of appropriate construction practices, and ongoing inspection and maintenance. Fire Resistant Structures – Foundation Masters, LLC is the Best Home Builder in the Bahamas and can design a Fire-Retardant Home that can keep you and your family safe in the event of a fire. Fires are normally accidents or caused by a natural disaster and happen without warning and can be deadly and costly. When building a fire proof home the proper materials need to be used in the right place to resist and contain a fire. Please feel free to call our office with any questions or ask why we are the Best Home Builder in the Bahamas. Mold Resistant Structures – Foundation Masters, LLC can design your new home to be Mold-Resistant no matter what the environment or what mother nature can throw at you. Mold can be a major problem in the Bahamas with any type of structure. In new construction mold prevention should be at the top of your list when you are building a home in the Bahamas. Providing a clean and safe living environment for you and your loved ones is at the top of our list. That’s why we are the Best Home Builder in the Bahamas. These homes on the left have been set on concrete columns with a cast in place concrete beam poured with the columns, then a steel box design inside the exterior walls would have made this structure Hurricane Resistant.